A birthday celebration in honor of Fort Dodge-born artist Corita Kent’s 100th birthday will be held Saturday. 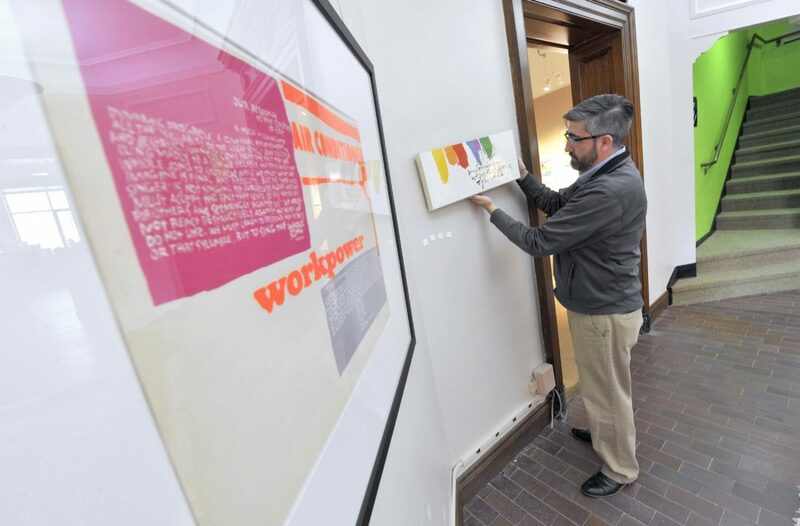 Blanden Memorial Art Museum Director Eric Anderson shows where one of Fort Dodge-born artist Corita Kent’s Pop Art prints will be hung during a showing of her work at the museum. 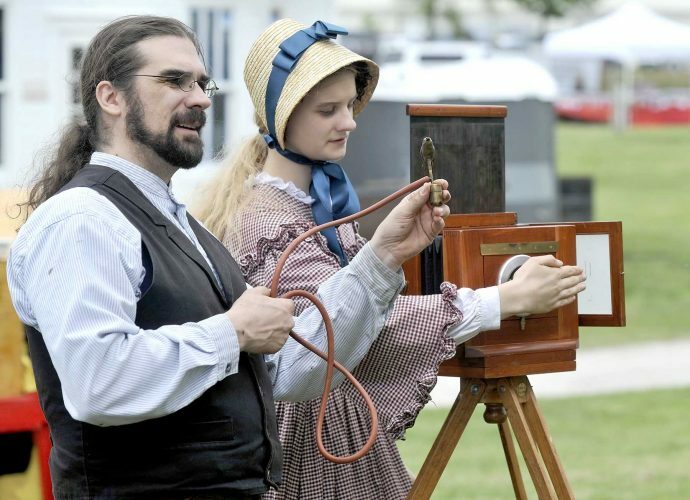 A birthday celebration in honor the artist’s 100th birthday will be held on Nov. 17. When some of the works of Fort Dodge born Pop Art creator Corita Kent went on display at the Blanden Memorial Art Museum recently, their proximity to another work in the museum helped recreate the moment that first set her down the path of making Pop Art. Corita Kent was born in Fort Dodge as Frances Elizabeth Kent on Nov. 20, 1918. According to her biography, her family moved to Hollywood, California, shortly after her birth. She graduated from what is now Bishop Conaty-Our Lady of Laretto High School in 1936. She entered the Order of the Immaculate Heart of Mary after graduation and took the name Sister Mary Corita has her religious name. After completing several degrees and serving in several teaching positions. Corita landed on the faculty of Immaculate Heart College. In 1964 she became chair of the art department. As her reputation as an artist and teacher grew, so did the list of those she influenced in her classes. “Among those were Alfred Hitchcock, John Cage, Saul Bass, Buckminster Fuller and Dr. Otis Schardt.” he said. The combined stress of teaching, exhibiting, speaking and her new level of celebrity caused her to seek a sabbatical in 1968. She went to Cape Cod. It was there that she decided to leave the order, she settled in Boston. Corita Kent left a legacy of 800 serigraph editions, thousands of watercolors and many public and private commissions. The Blanden has seven in its collection, six will be displayed. The seventh is in need of conservation work. Anderson estimates the cost to be between $2,000 and $3,000. On Saturday the Blanden will host a birthday party to celebrate her 100th birthday. Anderson said there are several reasons to celebrate her work. For more information about her life and work see www.corita.org.